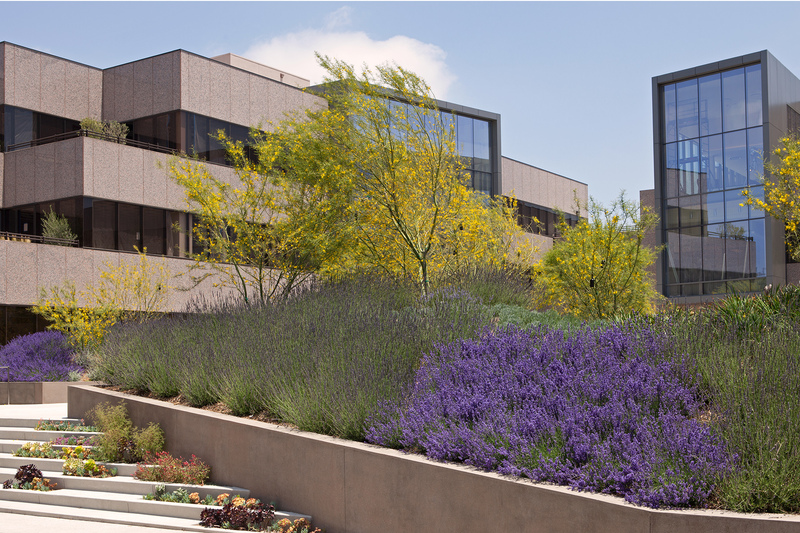 PB&Co worked with Tishman Speyer Properties to renovate and reposition the former Hilton Hotel headquarters as a creative office campus for multiple tenants. 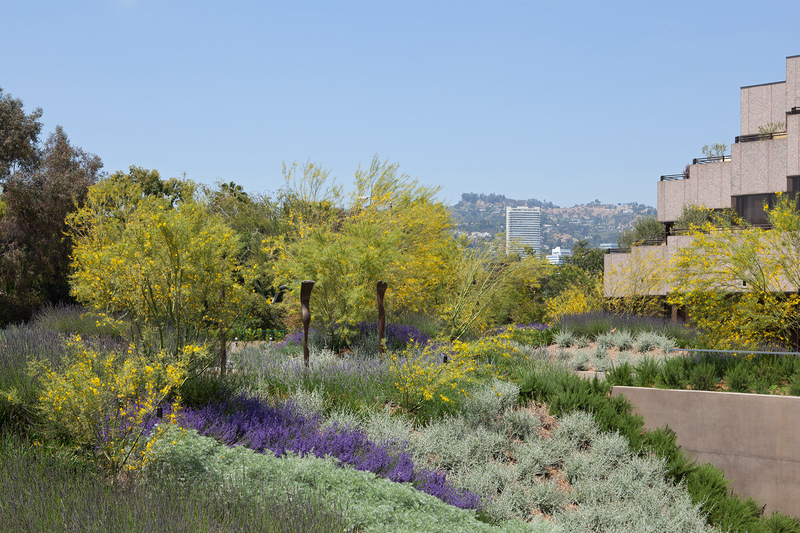 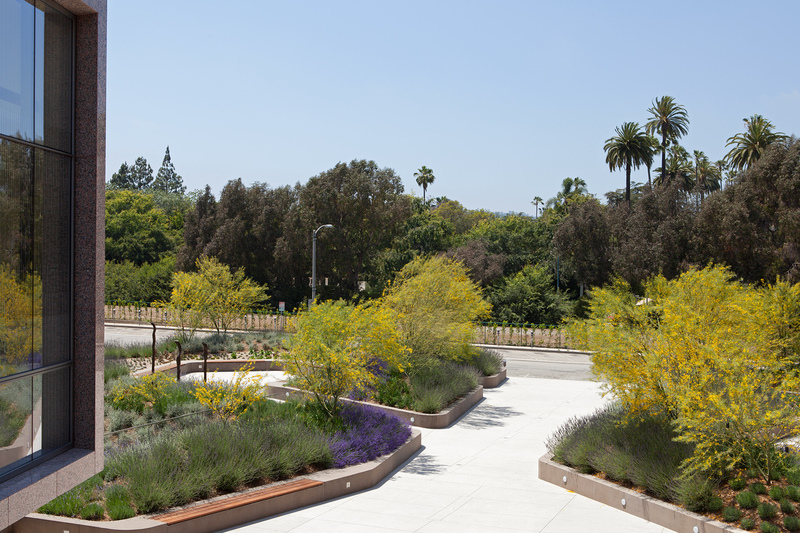 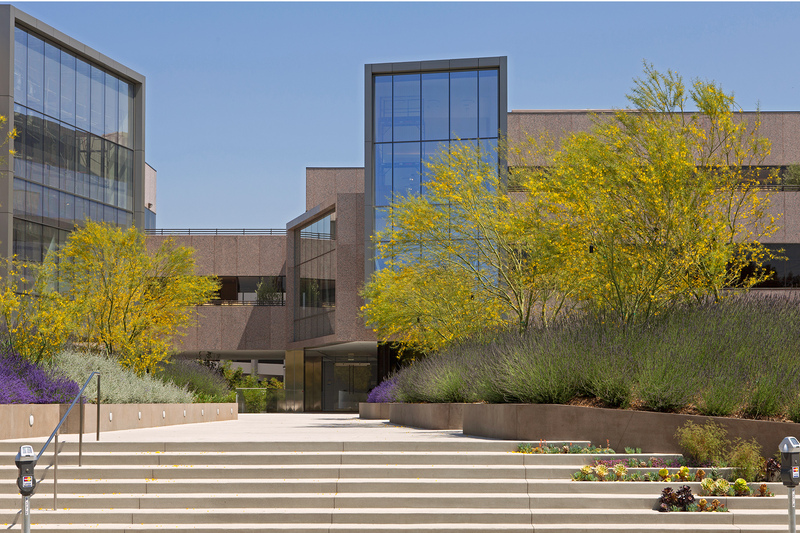 The firm developed a new landscape design for the entire 2.5-acre site which includes two four-story class-A office buildings, a large underground parking structure, and a vibrant urban space adjacent to the Beverly Hills downtown district, tranquil private gardens, and 18 garden terraces that serve individual offices. 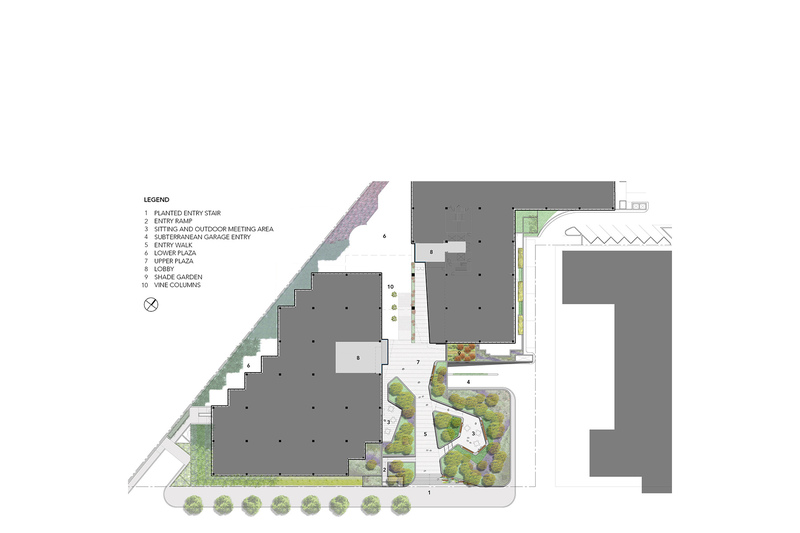 Two central plazas are situated over the subterranean parking structure and feature a series of sinuous site walls that create benches, gathering spaces, and raised planters. 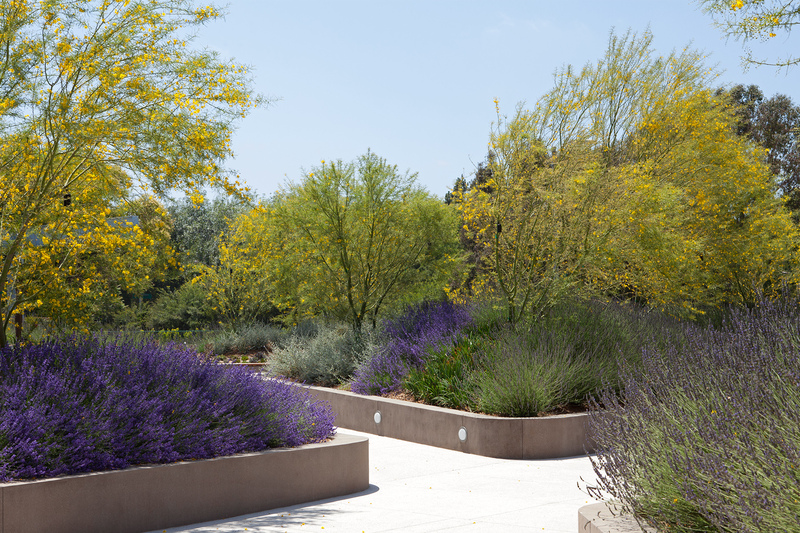 Undulating topography in the planters allows enough soil depth to plant a bosque of Palo Verde trees that shade the upper plaza.